Our fall has been nothing short of busy. This year two kids are in school and we’re back down to one at home. I didn’t realize how much help the older two were until they were both gone during the day. We’ve adjusted, but we sure do miss them during the school day. The kids got their letters and lists done and sent off to Santa this past week. They are really excited to hear back from him 🙂 Here’s the address in case your littles want to do the same! I finally finished my very first quilt right before Thanksgiving this year! It took me awhile, but it is done and I couldn’t be happier. It turned out perfect and the best part is the nursery is complete and this quilt gets cuddled with every night by a very smiley little boy. I was lucky enough to get to use my mother-in-laws sewing machine. Now, I’m just impatiently waiting on a new foot for my machine to show up so I can continue on with more projects! 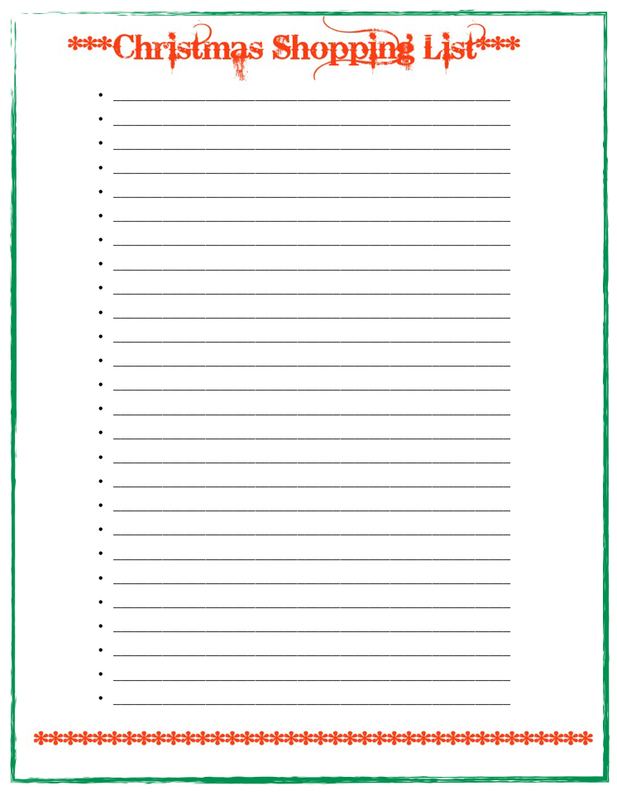 Here’s a free printable list to help you out with your Christmas shopping! I hope to have some type of helpful or decorative print ready for you with every blog! I’m open to suggestions so please send me a message or leave me a comment on my page!